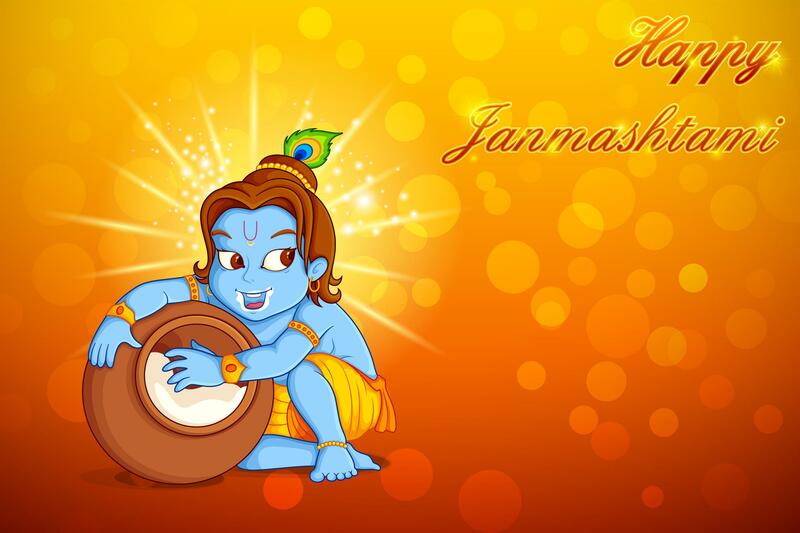 Janmashtami is celebrated with all fervor and heightened spirits throughout the country. It marks the birth anniversary of Lord Krishna who is believed to be an incarnation of Lord Vishnu as per Hindu religion. The festival celebration takes place on the eight day of the dark fortnight of the month of Shravana (August-September) as per Hindu calendar. Krishna was the eighth son of Devaki and Vasudeva. King Kansa ruled the Yadava province “Mathura” and a prophecy predicted the death of the king by the eight sons born to his sister. Kansa killed all the six children given birth by Devaki after imprisoning the couple. The seventh one, Balarama was secretly handed over to Rohini. The eighth child was Krishna. Vasudeva escaped from the prison the night Krishna was born and he was handed over to his foster parents, Yasoda and Nanda in Gokula. The incarnation of Krishna marks the end of darkness and rooting out of the evil forces dominating the earth. It is said that he was a true Brahmin who had reached Nirvana. Krishna is known to be blue in color where blue like the sky marks the infinite potential and power of the Lord. His yellow clothes represent the color of earth when introduced into a colorless flame. A pure, infinite consciousness was born as Krishna to eliminate the evil and revive the goodness. The enchanting music of the flute played by Krishna is symbolic of divinity. 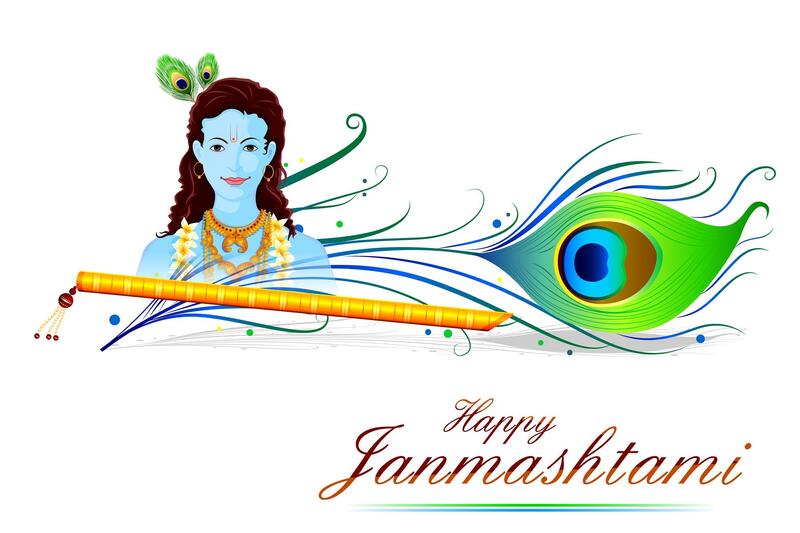 Hindus celebrate the festival of Janmashtami over two days at temples, homes and community centers. A fast is kept by the devotees 24 hrs prior to celebrations that begin at midnight. The occasion is marked by placing a statue of the deity in the cradle and bathing it in panchamrit made up from milk, ghee, honey, gangajal and tulsi leaves. This panchamrit is distributed as prasad to the devotees. Often a procession of a baby placed and rocked in a cradle is carried through the crowd. Chanting of Kirtans, Aartis reciting verses and presenting flowers is a common sight in the temples and other places where worship is going on. Decoration and the waving lights that cover the temples is a marvelous scene in the night.